YUM! These are part of my Sterling silver and Czech Glass range of jewellery. 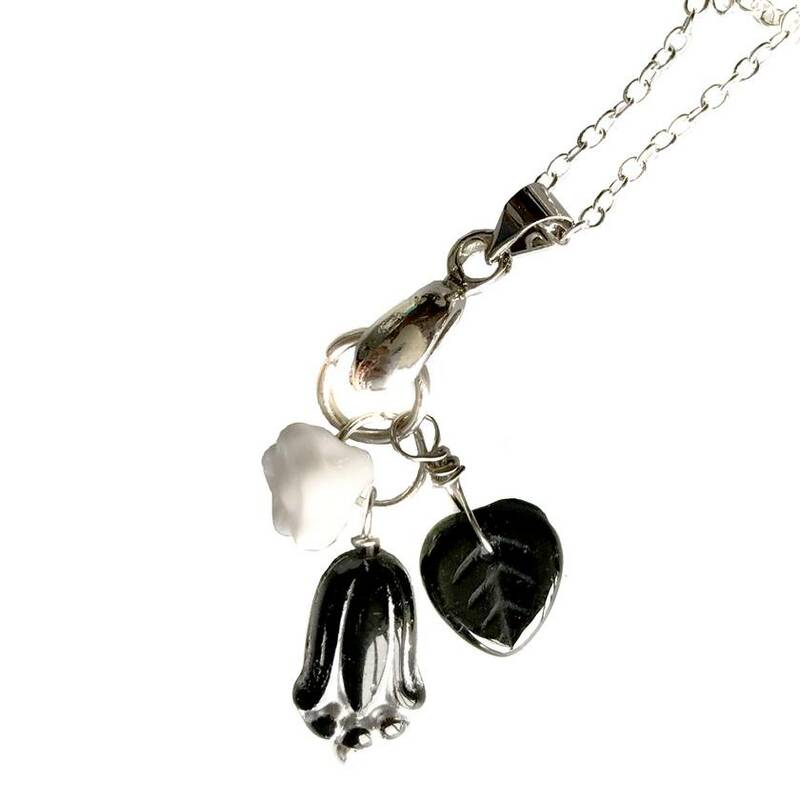 This elegant black glass Tulip has been paired with a little white bud flower and a black leaf. 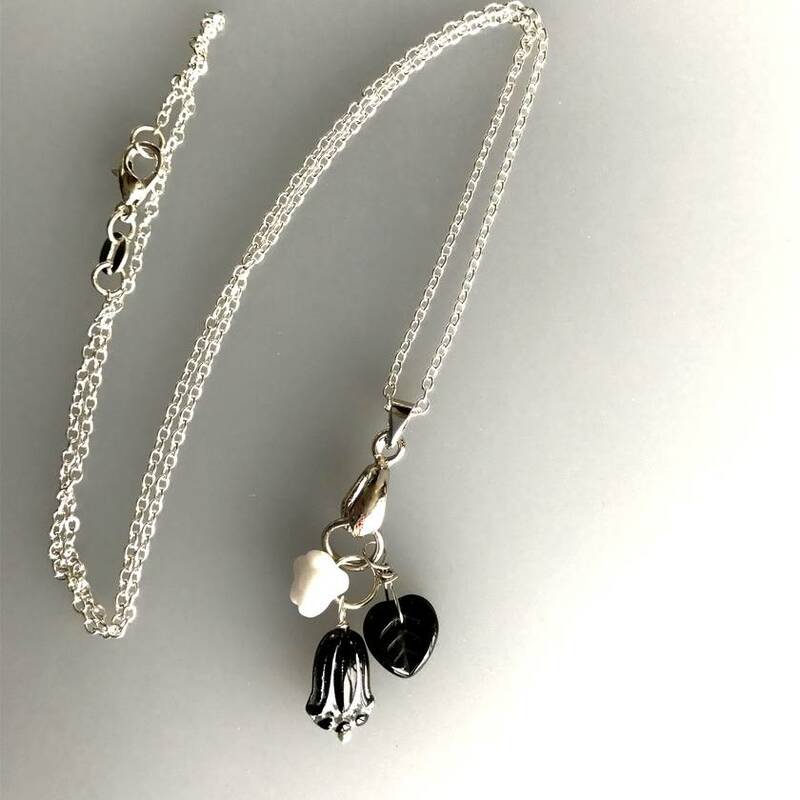 The Tulip is embossed with a silver lustre which pairs with the Sterling Silver earring findings and necklace chain. Choose from either the earrings or the Necklace or purchase both. Earrings are $28 and the necklace is $20. I love the luxury of Czech glass and have imported these special leaves and flowers from a factory in Jablonec Czechoslovakia. The glass captures the light and sparkles with variegated tones and pure colour. Its like grown up candy. 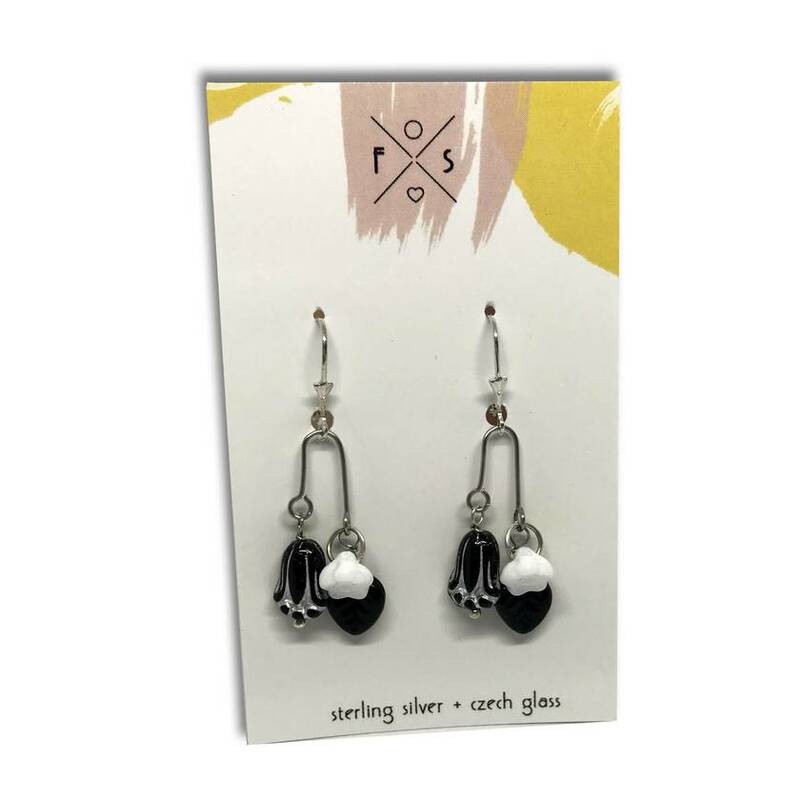 Pairing delicate glass leaves and flowers with Sterling silver earring wires makes these pieces simply stunning. They have the added benefit of being hypoallergenic and easy to wear everyday as well. 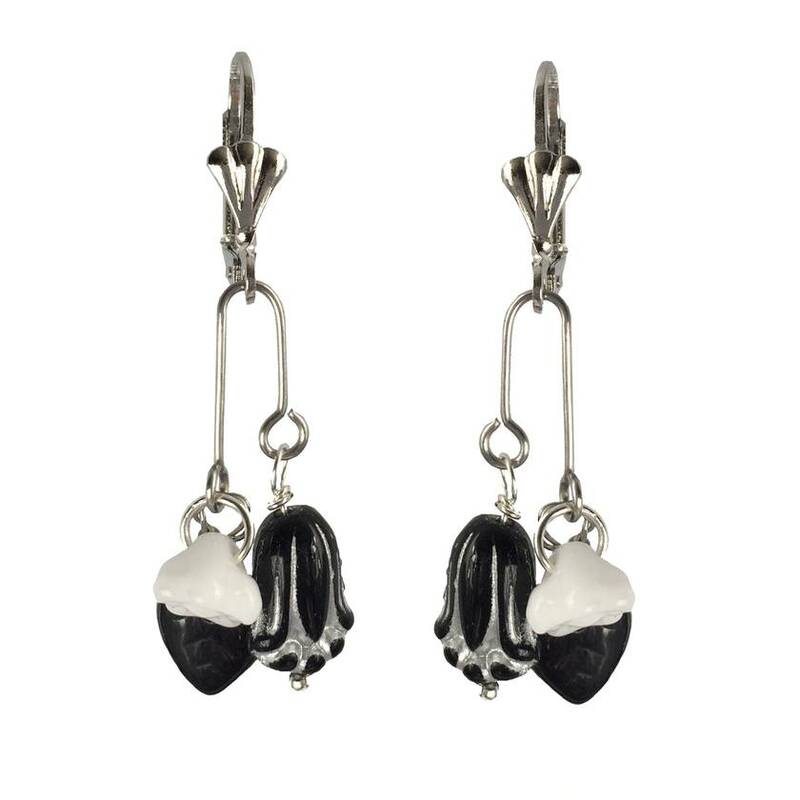 These petite earrings are delicate, dainty and elegant. A perfect gift thats understated and timeless. Please let me know if you are interested in a different style thats pictured. Contact firecracker to enquire about payment or shipping options.